Buying a pair of raw denim jeans for the first time can be a bit tricky. That’s why we have put together this three-part raw denim buying guide. In Part 1 we asked you to define the style your looking to achieve with your raw denim jeans. In Part 2 we took you to the store to buy some jeans. Now you are home and we will look at some of the practicalities of breaking in a new pair of raw denim jeans. You will have noticed that your first pair of raw denim jeans feel nothing like the other jeans you own. This is because the denim is raw. It has not gone through any kind of postproduction washing processes. They are made from denim in it’s purest from. With this come a few things you will probably not have been aware of with previous jeans. We will take you through a few steps we at Rope Dye use ourselves with each new pair of raw denims. The stiff and crisp feel to the denim is caused by starch. During the weaving process, the yarns are starched to allow them to flow more easily through the loom. Since the denim is never washed, the starch remains in the fabric. Here is the controversial part. 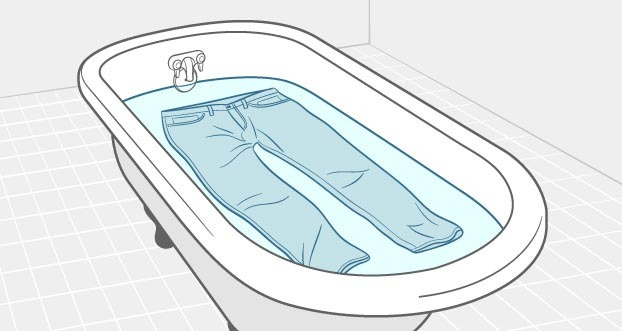 We whole heartily recommend soaking your jeans, sanforized or unsanforized (although with unsanforized it is essential) before you start wearing them. This initial soak will remove the excess starch and will in the long run make the jeans will last longer. Many denimheads will disagree with us on this point. At the store, you may also have been told not to wash your new raw denim jeans for at least six months. The initial soak we recommend can affect how on the jeans fade. The soak can make the indigo bleed all over the fabric, which can reduce the contrast of the white weft. The starch will also make the honeycombs, whiskers, and stacks set in more prominently. Not soaking has a price; the fabric in areas that see much abrasion will be under unnecessary stress and will break more easily. This is what you avoid by soaking before you wear. From our personal experience with many, many jeans, we know that the honeycombs, whiskers, and individual fade pattern will set in regardless of soaking. 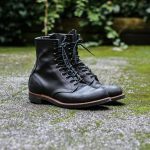 Ryan from Simple Threads knows all about the indigo bleed. 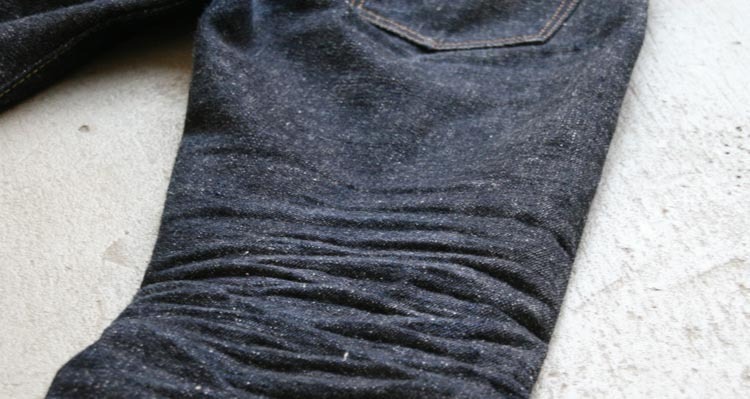 Even with a soaking, your jeans will lose some indigo in the first few weeks. This is a good thing and it means the denim is fading. The indigo wears off the top of the individual yarns exposing the white core. 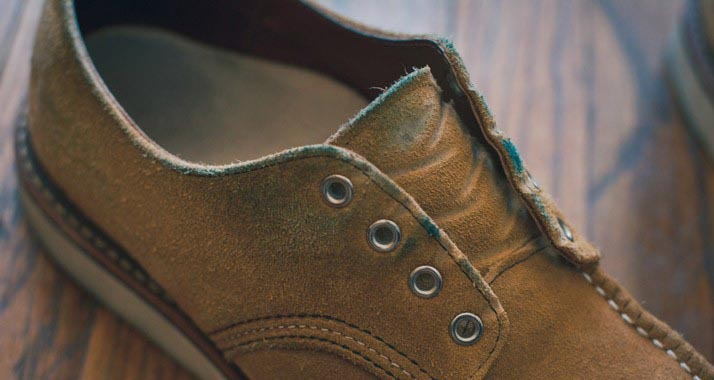 There is the danger that your car seats, couch, wallet or more perilously, your girlfriends white dress, and anything else that comes into contact with your jeans gets a subtle blue hue. Some denims bleed more than others. It is something that is dialled in when the cotton threads are dyed. To get an idea of the bleeding there are a couple of tricks. Keep an eye on your pocket bags. The amount of blue they pick up in the first few wears will be a good indicator. If there are stark blue lines, keep away from contact with lighter surfaces initially. If there is only a slight ghosting, chances are you will be fine. A much more thorough way would be to wrap your phone or wallet in a white handkerchief. Put it in your back pocket. This way you will get a much more accurate idea of the bleed. Either way, the bleed will stop after the first few weeks. Even with the most heavily saturated pair of jeans, it never lasted more than a month. A lot of forums are packed with people worrying about their jeans. They panic of they get caught in a rainstorm or their jeans stink after a night in a bar. In most cases, hanging in the fresh air can cure a smelly pair of jeans. If they get soaked in a downpour, hang them up to dry. Denim is tough stuff. It is the reason it is so popular. They can take most anything you can throw at them. Don’t over think things. There you have it. You are in your first raw denim jeans; congratulations and welcome to the fold. 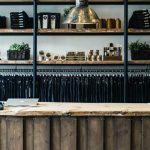 In raw denim, you will find a tight-knit community, plenty of help, and plenty of tips and tricks for achieving just the kind of wear and fades you are looking for. 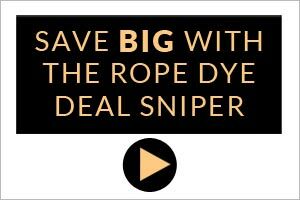 We at Rope Dye will be right there with you along the way. Head over to the Rope Dye store to pick up a pair of raw denim jeans!